Magic Appliance Repair Los Angeles provides customers with high-quality services at reasonable prices. Our team has earned the reputation of a trusted service provider among local homeowners.Not only do we offer home appliance repair, but also help our customers create a comfortable and convenient living environment. When you call us, you can rest easy knowing we will complete the service on time and on budget. 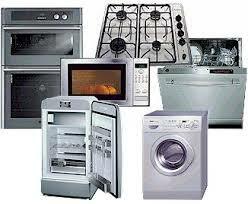 Our company is well known in Los Angeles, California, with quick and affordable appliance repair services. Contact us once you’ve noticed some problems with your appliances and we will dispatch our specialists right away. Our team has everything needed to fix you faulty appliance in a matter of hours. Our appliance technicians will take the time to troubleshoot the faulty unit and find the optimal way to repair it. With nearly all replacement parts at our disposal, we can complete any task in a single stop. This approach makes us the go-to company for all appliance repair needs. We can ensure the long-lasting effect of any service we perform. Whatever the problem is, you can rely on our expertise. Backed with years of hands-on experience, our team can handle tasks of any level of complexity. Our appliance service technicians will keep you well-informed during the process and explain how to avoid similar problems in the future. Whenever you find yourself in need of appliance repair, Los Angeles Magic Appliance Repair is at your service.We always put our customers’ needs first and aim to achieve the utmost results in every job we undertake. No matter what type of appliance service you require, your absolute satisfaction is guaranteed. Feel free to contact us if there is anything we can help you with and we will resolve all your concerns in a timely fashion!